Returning to the same location repeatedly can yield some very different outcomes. Here I go through three years of photos from the same perspective. 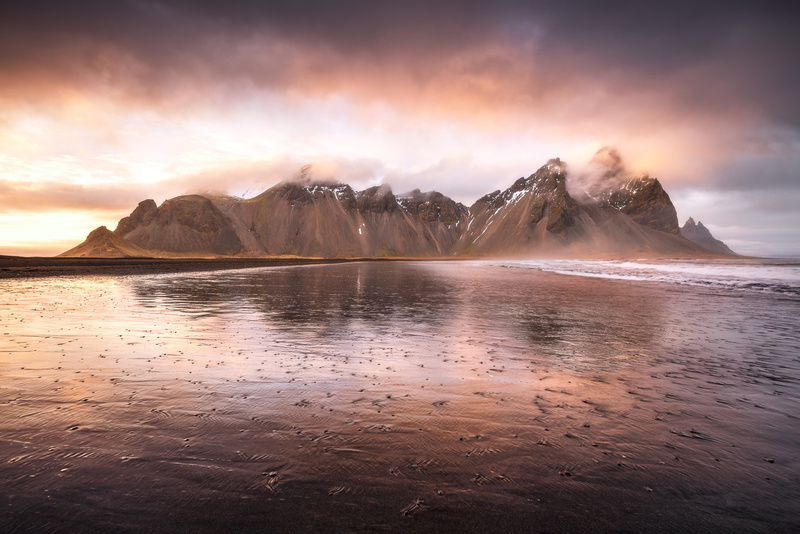 One of the most famous locations for landscape photography in Iceland is the area called Stokksnes. 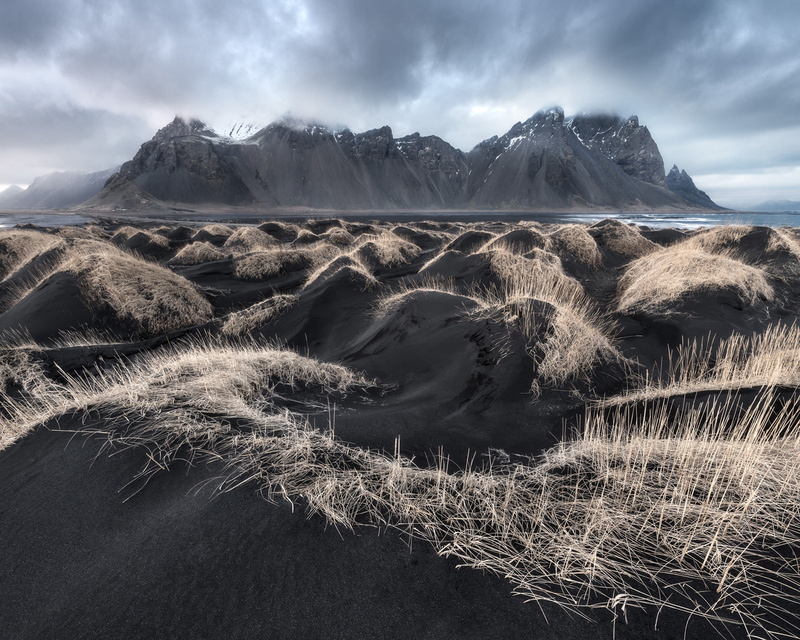 It is also known as “Vestrahorn”. 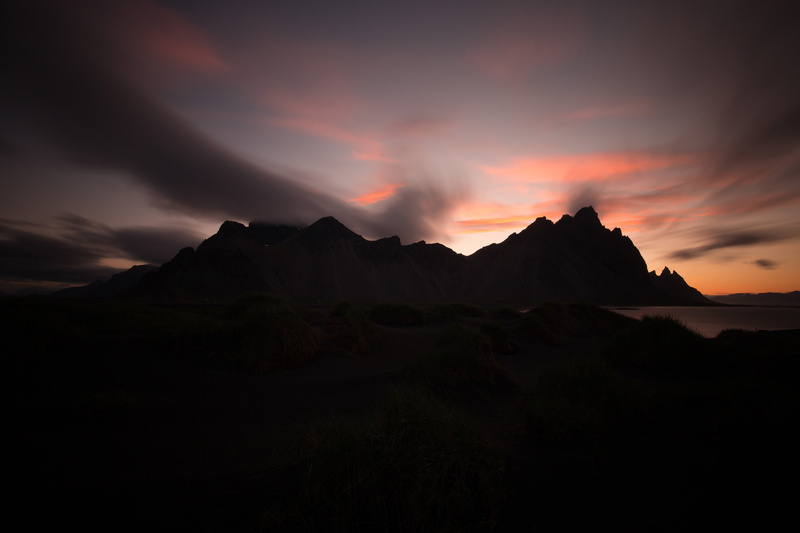 To be precise Vestrahorn is actually the mountain on the right in these photos. 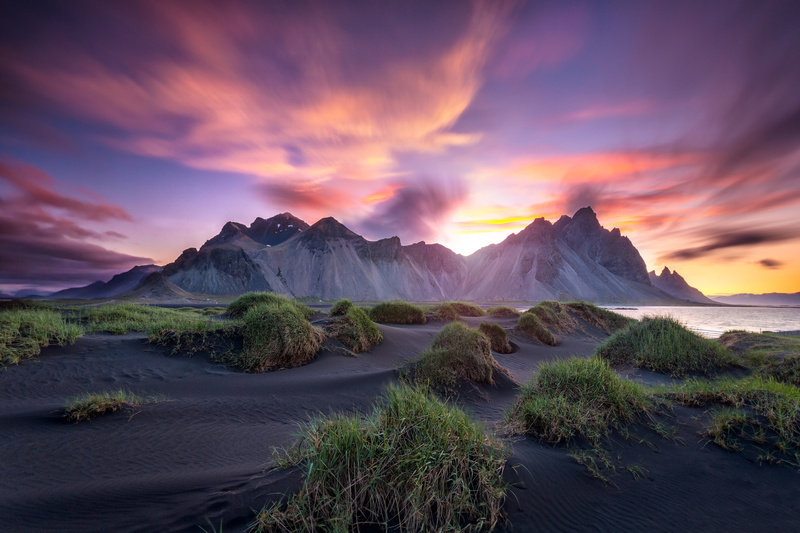 Therefore, you are taking a photo of Vestrahorn with the area Stokksnes as a foreground. As of this winter, I have visited this location 15 times in all seasons since I first came to Iceland back in 2015. The conditions obviously change a lot in an area like this. 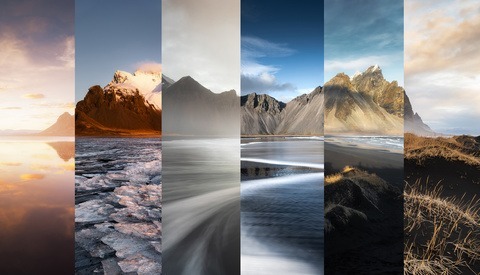 During the seasons the direction of the sunrise and sunset changes drastically because Iceland is located so far north. 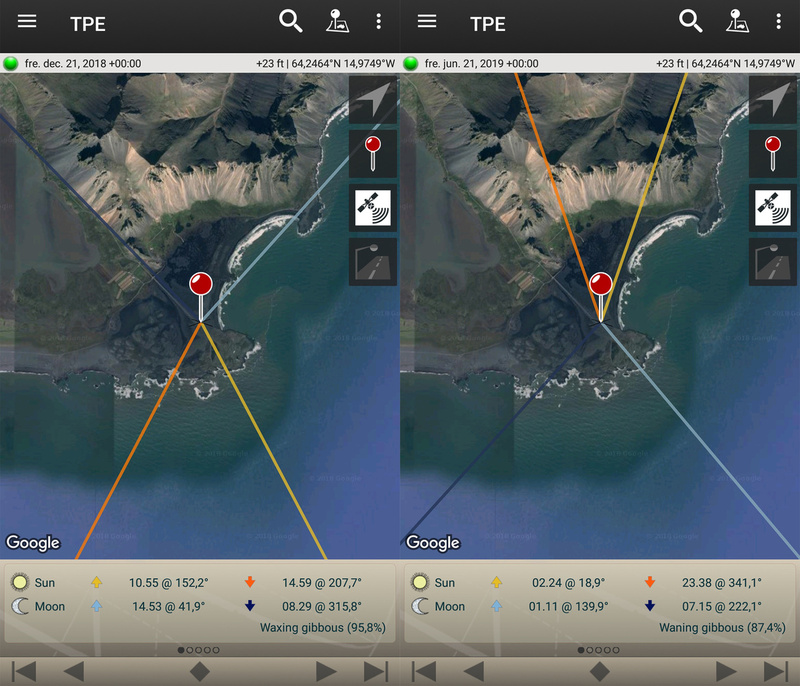 At the screenshots below from the app "The Photographer's Ephemeris", the sunrise is represented by the yellow line, while the sunset is represented by the orange line. We are talking a change of about 160ᵒ from summer solstice to winter solstice. During summer, the sun rises and sets behind the mountains, while at winter it is hard to keep your shadow out of the frame during sunrise and sunset, if you are shooting towards the mountains. The weather also changes a lot from season to season. 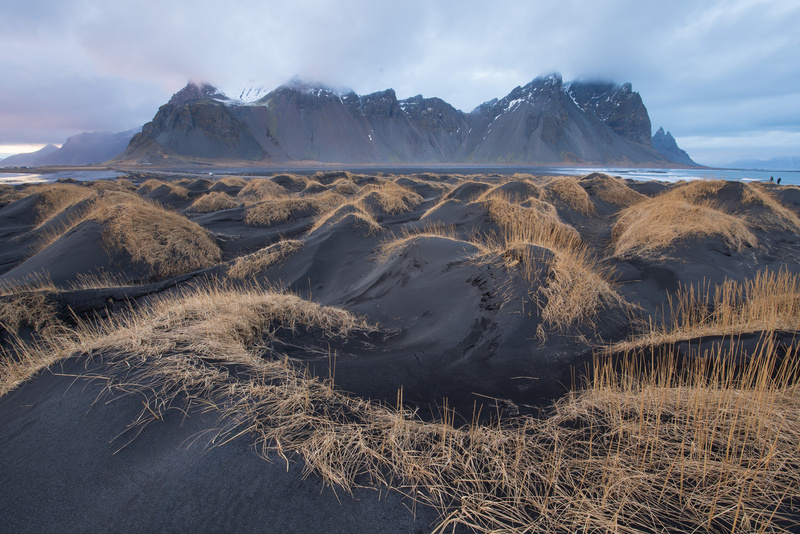 Contrary to popular belief, Iceland does not become extremely cold during winter (on average). Some years can be colder than others and vice versa. Some years are also more wet than others. Having visited the same location so many times obviously gives a huge variety in the photos I have captured. I do adhere to a certain set of rules for editing and I do not try to apply a certain style. I set myself completely free in the editing phase, but I do want my eyes to accept what I see, which means the conditions heavily influence how I end up editing my photos. 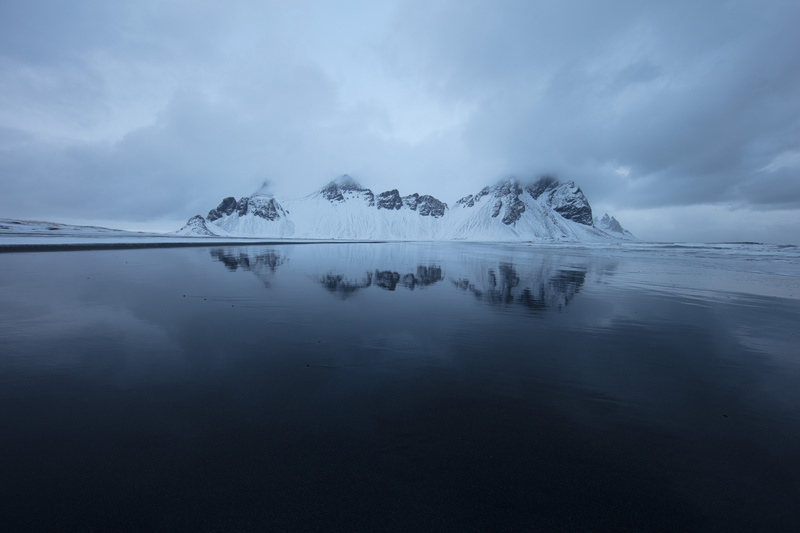 For the sake of this article, I only show my favorite photos from each visit where I have included the entire mountains in a horizontal format. 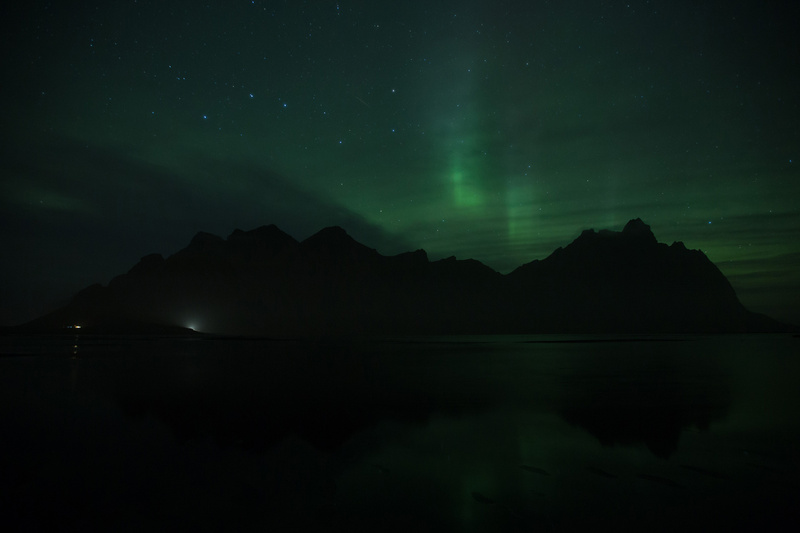 The first time I visited Stokksnes was during an autumn night in 2015 for some northern lights photography. Having done my research, I had a good idea about the area and I went for the classic reflective composition in the huge tide pool/lake in front of the mountains. With no moon to light, the foreground and only a little aurora activity I got the above shot and made a simple edit trying to emphasize the auroras and reflection. The hardest part was the noise reduction. I returned the following day and got this long exposure reflection from the beach. Back then, I basically long exposed everything with my 10-stop filter. During editing, I wanted to push the contrast to give more details and remove the initial flat look. 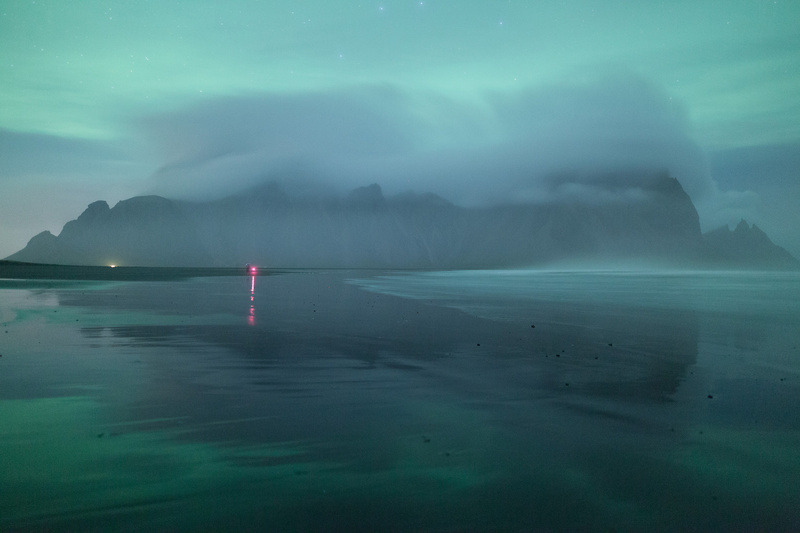 The following summer I returned to Iceland. On our first visit, the weather was rather moody. I did however manage to get this panorama in the lake. For reflection shots, I really like to emphasize the reflection and have almost equal brightness values in both top and bottom. I also wanted to add some details to the clouds and remove the foam on top of the lake. A few days later, we returned. I first photographed the location during sunset. However, it was the photos I got a few hours later during sunrise that became one of my all-time favorite photos. Because of the clouds and high dynamic range, I had to combine several photos. One for the foreground, one for the left part of the mountain and one for the right. 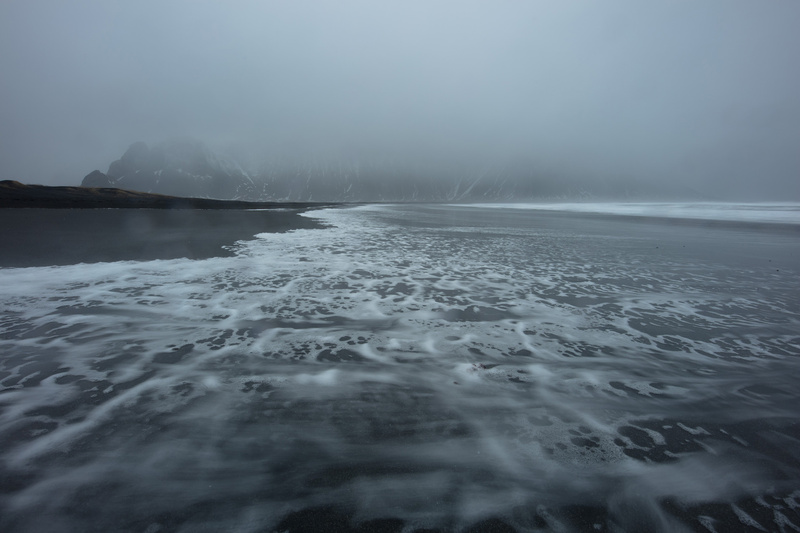 Admittedly, I had given up on getting both mountain tops cleared of low hanging clouds and moved down to the beach. Here I got one of the shots. Stitching this image was not easy! I also lowered the white balance and cooled off the image to keep the reds from clipping. On a side note see how the grass here is green. On later photos it will be all brown and yellow. I returned a few months later during an autumn night 2016, but did not get any photos of the entire mountains I consider worth editing. 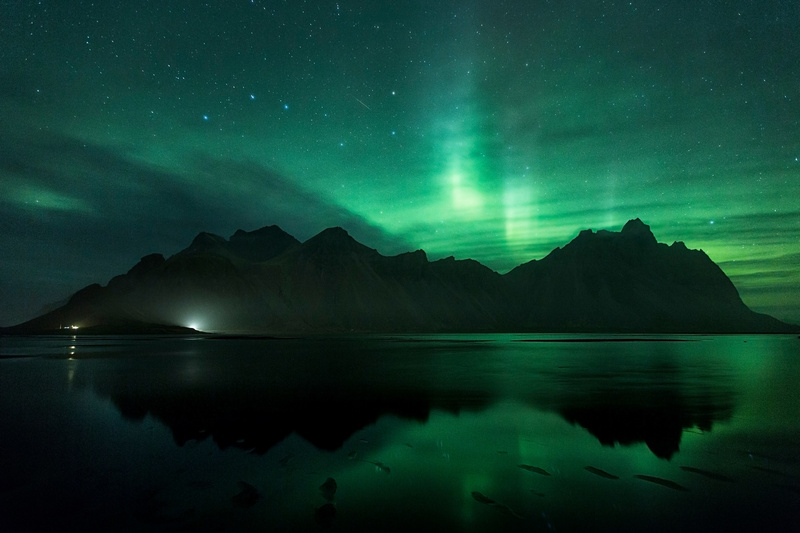 I did get some great reflection shots of the northern lights, but nothing for this article. I did not return to Iceland again until February 2018. 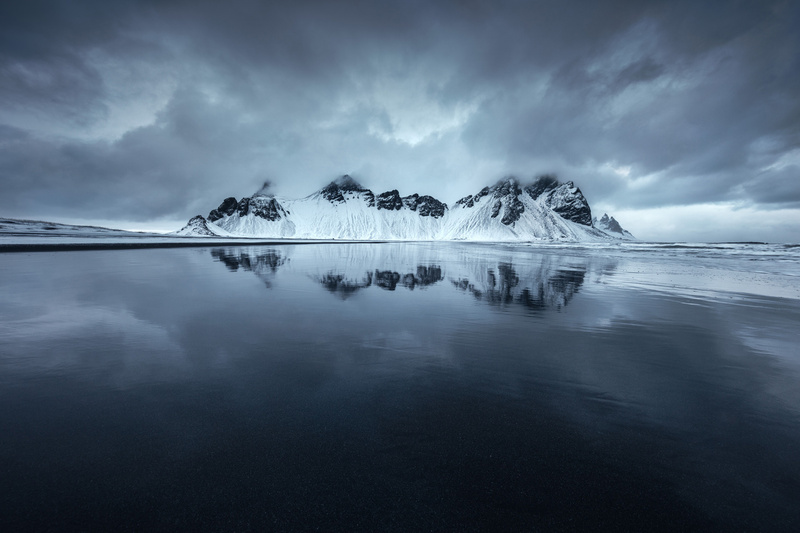 The afternoon we visited Stokksnes delivered some spectacular moody and bleak conditions. I got some beautiful photos this afternoon and my favorite was a vertical format. For the sake of this article, I show this reflection shot I also really like. Like the above reflection photo, I equaled out the luminosity and added some details and contrast to the clouds. Two weeks later, we had had some storms, which melted most of the snow. 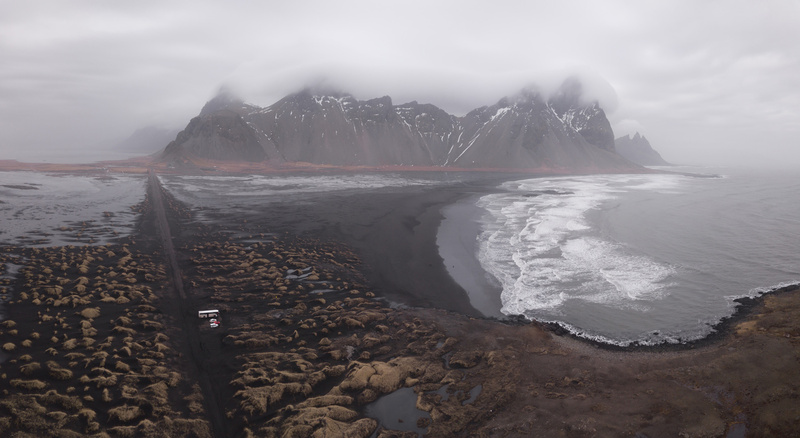 I got a few moments to fly my DJI Mavic Pro Platinum and this panorama shot actually turned out to be my favorite from that day. This shot did not require much post production. I added some contrast, a few local adjustments and a graduated filter for the clouds. Another two weeks later low hanging clouds creeped in as we arrived. They did not disappear before darkness, so we did not get any photos of the mountains. In the end of March, I spent a few days along with my fellow YouTuber and Fstoppers guest writer Nigel Danson. We of course had to visit Stokksnes, as I wanted to make my video from there. Most of the day we had low hanging clouds covering the mountains. I had actually given up on getting anything. 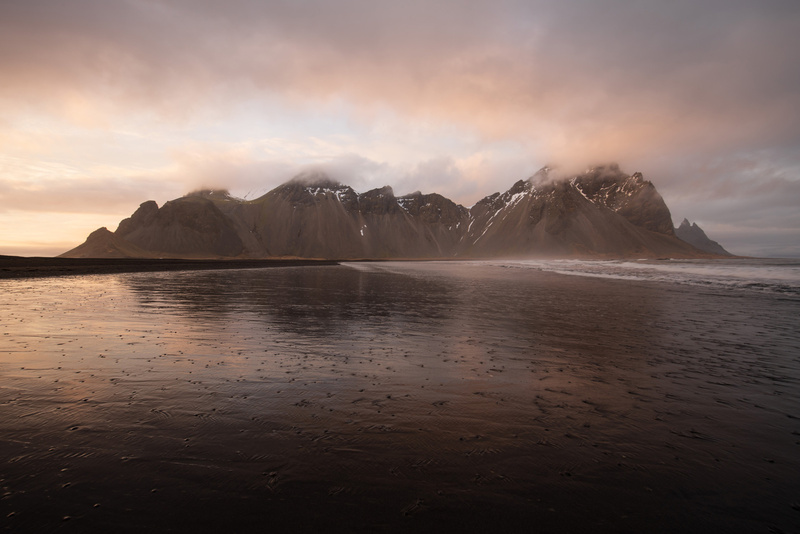 However, just at sunset the clouds spread out, I grabbed my gear and run down to the beach. I got a beautiful atmospheric scene with sunset colors! I ended up combining two photos where the clouds were different around the mountain. 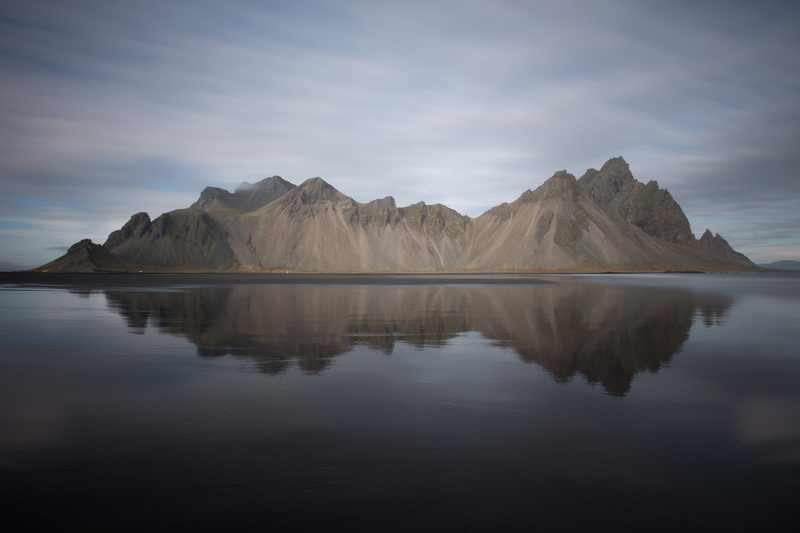 After Nigel went home, I had 10 days on my own in Iceland and during that period, I returned to Stokksnes. Even though the forecast said clear weather, I got more clouds. I did however find this cool swirly foreground. As the foreground was very close to the camera, I had to make a vertical panorama. I desaturated the image and added some contrast. Looking in hindsight, I am not sure I even like this edit. Obviously, I could have edited all these photos differently. I bet I would not be able to recreate the photos 1:1 if I had to do it all over. Nevertheless, the conditions heavily influenced my choices. In the next part, I will show even more before and after photos from here and share more thoughts. 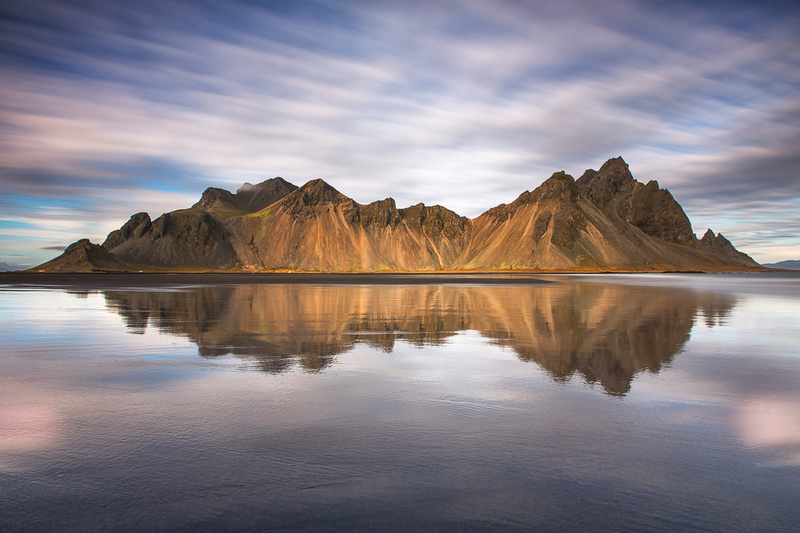 Have you ever been to Stokksnes? 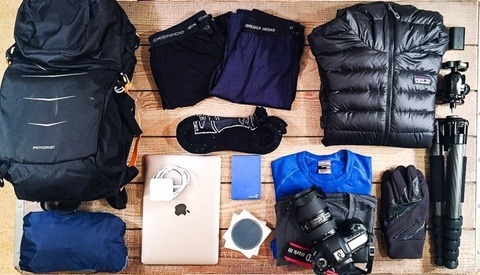 Did you get some inspiring conditions? What are your thoughts on how the conditions and editing goes hand in hand? Bravo my friend. Awesome work done here. Inspiring and educational. As usual. Great read, Mads. Love the lead image, too! Excellent work, Mads and beautiful job on the lead image! But Mads, haven’t you heard the news? Iceland is an overphotographed cliche!!! I’m kidding, of course. I love when a photographer can still feel inspired by a location they’ve already shot before. I’m planning my third trip to Kawaguchiko for next year, my personal Iceland, haha. Keep up the amazing work. Haha, thanks, Jordan! I'd love to go to Japan one day! I can't recommend Japan enough, it's such an amazing country, and super easy to travel around, since it's so small. My only complaint is that the weather is unpredictable like Iceland seems to be, it's not as dramatic, and the sunsets leave a little to be desired. However, if you do make the trip, I'd be happy to share some of my favorite spots, some iconic, other hidden gems. I'd be interested to see what a photographer of you skill could do here! 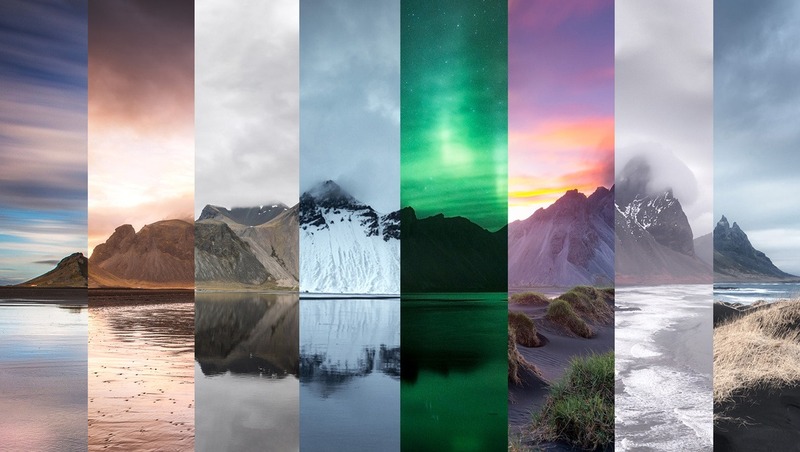 Having been to Iceland multiple times, I’m surprised you had to return to the same location 15 times during various parts of the year. As any Icelander would tell you, just come back every 5 minutes and you’ll get a different result - such is the weather! Cool read! 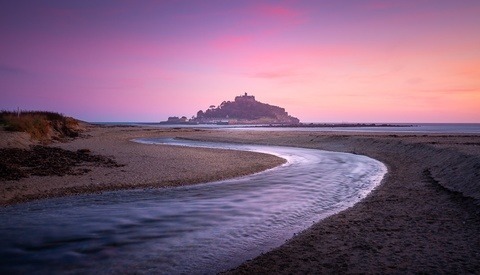 It's such an interesting contrast between travelling to a beautiful location and having a few hours to get a shot versus living near enough to have an experience like you wrote about.